Second only to skin cancer, prostate cancer is the next leading cancer among U.S. men. While cancer doesn’t discriminate amongst the general population, prostate cancer does when it comes to race. Roughly 1 in 9 men gets prostate cancer, according to the American Cancer Society – and those odds are even worse for African-American men. As prostate cancer is among the top causes of death for American males, years of research has gone into studying the disease. However, scientists have yet to uncover the disparity that exists among race when it comes to developing prostate cancer. 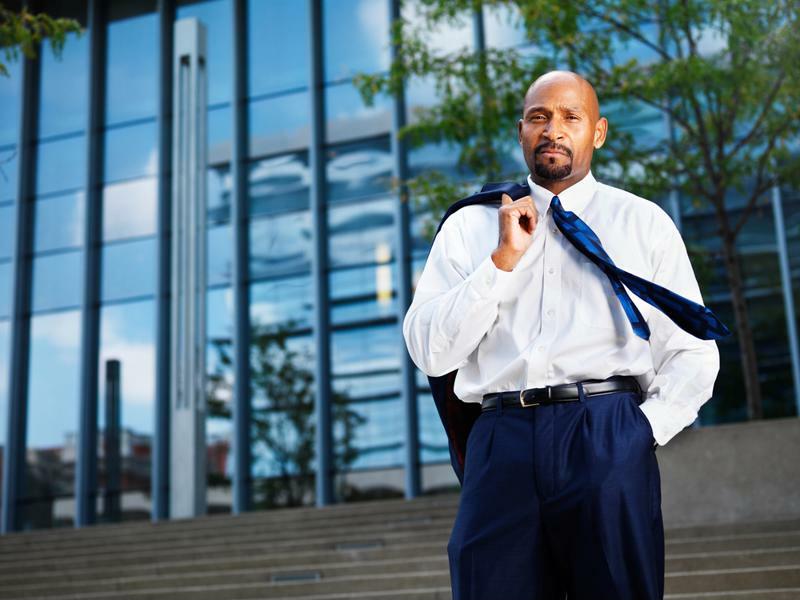 According to the Prostate Cancer Foundation (PCF), African-American men are nearly 1.6 times more likely to develop prostate cancer than Caucasian men. They are also 2.4 times more likely than white men to die from the disease. Researchers, scientists and doctors agree that while they cannot pinpoint a definitive reason why prostate cancer incidence and death rates are higher for African-American men, cultural and lifestyle habits, medical care, genetics and nutrition may all play a part in the discrepancy between race statistics. According to the Journal of the National Cancer Institute (JCNI), migrant studies have shown that the risk for prostate cancer in men rises among those who immigrate to the U.S, as is the case for many other cancers as well. Thanks to extensive research and medical trials, the projected deaths from prostate cancer have dropped by more than 50 percent in the last 20 years, according to the PCF. And though the risk for African-American men still remains significantly greater, the gap between five-year survival rates of white and black men has shrunk, according to 2009 data from the Harvard Medical School + Harvard Health Publications. Reporting on rates from the American Cancer Society (ACS), African-American men diagnosed with prostate cancer between 1975 and 1977 had a 61 percent survival rate, compared to the 70 percent survival rate of Caucasian men. Between 1984 and 1986, the rates rose to 66 and 77, respectively. For patients diagnosed with prostate cancer between 1996 and 2004, white men had a 99 percent survival rate, while black men had a 96 percent survival rate. Each Year 1 out of 9 men are diagnosed with prostate cancer – and those odds become worse for African-American men. While these rates of higher incidence among African-American men still remain largely a mystery, late detection has been linked to higher mortality. The National Cancer Institute asserted that yearly prostate-specific antigen testing was once highly advised by doctors for men beginning at age 50 and perhaps even earlier depending on risk factors. However, emerging research has led some medical organizations to back down from encouraging PSA screening. Whether PSA screening is recommended or not, it is now agreed that any patient considering the testing should be informed of all possible harms and benefits. To complicate the issue further, honest and open discussion with a trusted doctor is not always readily available for all men. Pride, fear and the low likelihood to seek care in the first place are other barriers that stand in the way for male patients across the board. Moreover, several studies conducted over the years have pointed to the conclusion that these factors, along with a combination of cultural taboos and quality of care are to blame for the lack of participation in early-detection screening among African-American men. A 2004 study “Culture, Black Men, and Prostate Cancer: What Is Reality?” published in the Journal of the Moffitt Cancer Center concluded that an overall feeling of disconnect with the health care system among African-American men has contributed to the lack of participation in early testing. The longitudinal study analyzed prostate cancer screening behaviors among 277 black men and 94 primary care providers. Men in the study were non-Hispanic African-Americans over the age of 40 with no diagnosis or symptoms of prostate cancer. Participants also had no evidence of mental illness. Additionally, the majority of participants had a personal physician and insurance coverage, and were highly educated. Researchers found five strong themes emerge from the study that shed light on the way in which beliefs and attitudes had an implication on decision-making for prostate cancer prevention. Those five crucial factors were sexuality, social support, quality of care, communication and lack of knowledge. The last factor can be attributed to shortfall when it comes to discussion with health care professionals, as the study found that 48.7 percent of the respondents stated they were not certain of their risk when asked about prostate cancer, and 44.8 percent were not aware of the PSA test. Even more telling, approximately 27 percent of participants had not heard of the digital rectal exam screening method. More than half of the participants, 53.4 percent, reported that their doctor had never told them they needed a PSA. Though 127 out of 277 respondents had the PSA, 47.4 percent of that group stated that their health care provider or doctor had not explained the risks or benefits of the test. Additionally, 43.4 percent were not told why they should have the PSA. Many participants reported that they felt they were treated differently in the health care system due to their race and 58.6 percent said they believed their race/ethnicity was an influencer of the quality of care they received. 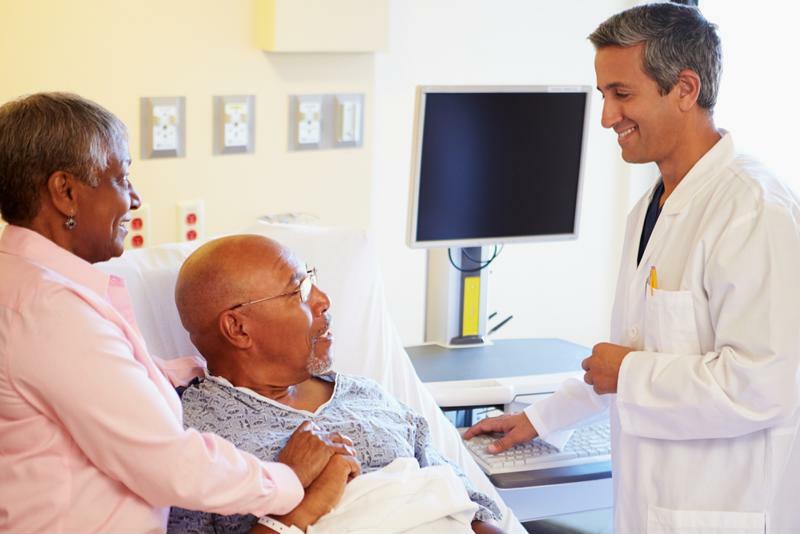 The historical disconnect of black men within the health care system needs to be changed and culturally appropriate communication is key for reversing the lack of trust and connectedness for prostate cancer screening, concluded the study. Health care professionals and doctors must acknowledge the previous negative experiences with the system and work to provide cultural sensitivity, appropriate materials and resources on prostate cancer, quality service and an open and honest relationship between the provider and the patients. The 2004 study called for the historical disconnect of black men within the health care system to be changed.